When I tell someone that I work with radiation, almost always the first reaction is: “Do you glow in the dark?” The public’s perception of nuclear power is that it is risky and dangerous, and that at some stage there is going to be a catastrophic meltdown and the world, as they know it, is going to come to an end. This is not helped by the fact that for almost each generation since nuclear power has been operating, there has been a serious nuclear accident: Windscale 1957, Three Mile Island 1979, Chernobyl 1986 and the latest, Fukushima 2011. While these issues continue to dominate much of the thinking of the designers, operators and regulators of nuclear or radiological installations, a second issue has grown to prominence, particularly since the collapse of the Soviet Union: the issue of nuclear security. Ironically, since the demise of the Eastern Bloc, the threat that nuclear and radiological material could fall into the hands of what are known as ‘non state actors’, or more colloquially 'terrorists', has increased. We now live in a world of the ‘improvised nuclear device’, an atomic weapon built by a non-governmental organisation; or ‘the dirty bomb’, an explosive designed to release radioactivity into the atmosphere, but its explosive power is not enhanced by the radioactivity within the device. This, then, is the new reality of the world in which we live and, as such, defences against such threats to safety and security need to be incorporated into the design of new nuclear facilities. This has serious implications for South Africa as we move forward to a decision as to whether or not the country should install an additional 9.6 gigawatts of nuclear power generation. However, it is also an opportunity to install a safety and security culture into the workforce of the new nuclear power stations. So what is ‘safety culture’? To quote the International Atomic Energy Agency (IAEA): “Safety culture is that assembly of characteristics and attitudes in organisations and individuals which establishes that, as an overriding priority, safety issues receive the attention warranted by their significance”. Nuclear security culture is defined in almost exactly the same way by the IAEA. 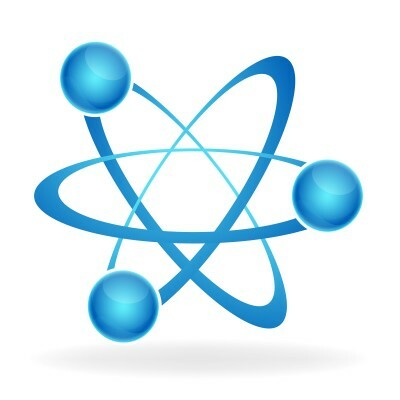 However, where safety is concerned with the safe operation and use of nuclear and radiological material to achieve specific tasks – be it the production of electricity or production of medical isotopes for imaging patients – nuclear security is concerned with the prevention and detection of, and response to, theft, sabotage, unauthorised access, illegal transfer or other malicious acts involving nuclear or other radioactive substances or their associated facilities. 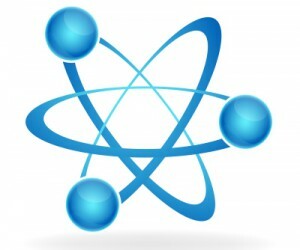 As one of the South African universities involved in the education of the next generation of builders, operators and regulators of nuclear and radiological facilities, Wits has been active in the review of its own educational syllabi to ensure that from the beginning of a student’s career, he/she becomes imbued with these attitudes toward nuclear safety and security. We have decided to not leave matters there, but have embarked upon a programme of Professional Development Courses (PDCs) that we will be rolling out over the course of 2013. This we are going to be doing in conjunction with a number of international partners including King’s College London, the United Kingdom National Nuclear Laboratory, University of Central Lancashire, University of Georgia, Brandenburg University, International Nuclear Service, International Atomic Energy Agency, World Institute for Nuclear Security, University of Tennessee, Lawrence Livermore Nuclear Laboratories, Sandia National Laboratories and the Monterey Institute for International Studies. The intention of these PDCs is to invite members of South Africa’s academic and training community to attend one or a number of these workshops where the intention is to develop the attendees’ skills in the understanding and presentation of various aspects of nuclear safety and security education. Having completed such workshops, the graduates will then be able to return to their place of employment and develop nuclear security education programmes as may be needed within their organisations. We will also be seeking to catalyse the development of a nuclear security support centre within the country. This would be a national centre with numerous stakeholders who would seek to help train and educate people who may require some degree of nuclear safety and security training and education.